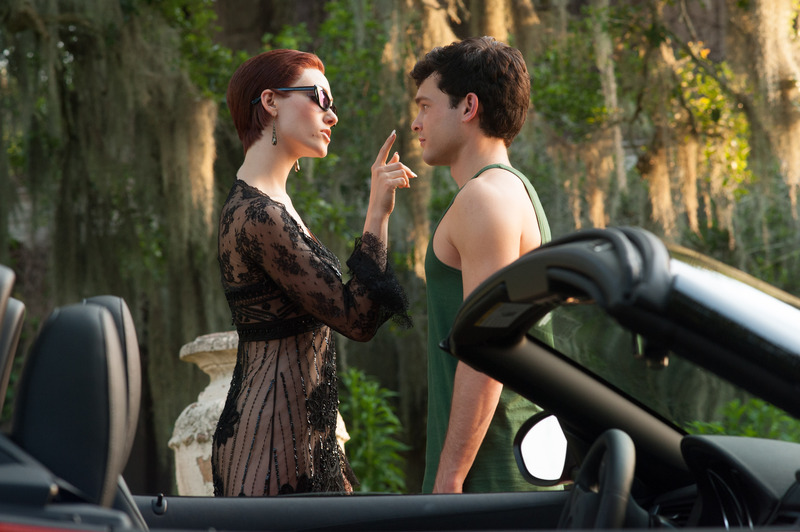 Movie Review: Beautiful Creatures- A Formulaic Supernatural Romance that Benefits from Chemistry and Talent | Generation Film! It’s almost impossible to say when we might rid ourselves of the Stephanie Meyer formula curse that has parasitically attached itself on every single simple love story ever since the unfortunate arrival of Twilight. The tiresome supernatural “Romeo and Juliet” trend has certainly worn out its welcome, which is unfortunate because there is ample opportunity for depth that just seems wasted due to the hesitation to not deviate so far from the successful formula. In the case of the latest supernatural love story Beautiful Creatures there is a hint of plot intelligence and genuine character development that remains rather unexplored as the film trudges along the expected outlined plot points. 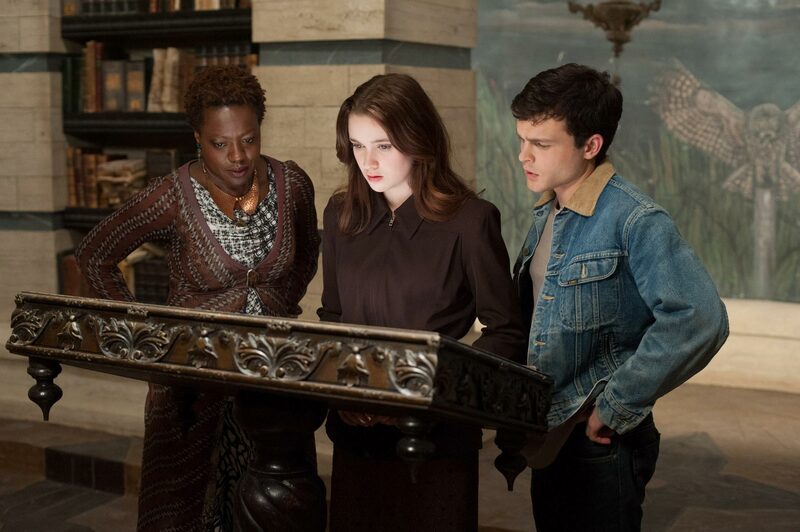 Written and directed by Freedom Writers director Richard LaGravenese, Beautiful Creatures seems like an odd concoction of the Twilight series and a better form of current Tim Burton films that have proceeded to get worse in the last decade. Luckily the film doesn’t have the awkward acting or a void of talent cast that define the Twilight saga giving us a rather charming adolescent love experience that feels genuine in its riskiness and its struggles. That feeling doesn’t last too long as the film adopts the determined formula more and more as it slithers along becoming more predictable and also less interesting. To say that Beautiful Creatures is a bad movie wouldn’t be doing the material or the cast justice because even though the adaptation of Kami Garcia and Margaret Stohl’s novel seems a bit shallow there is plenty of personality, quick witted dialogue, and genuine connection that will keep you charmed even if mildly bored at the end. We shouldn’t be angry with Twilight because it has opened up the door for a bit more ridiculous renditions on supernatural love stories but we should be mad at it for setting such a terrible formulaic standard that creative minds are hesitant to break away from its clutches even slightly. Beautiful Creatures is one of those films that had the potential for more depth and introspection but ultimately becomes just another carbon copy of the Twilight infection. Director and writer Richard LaGravenese isn’t unfamiliar with cliché romance films since he penned and directed a segment of the vignette picture Paris, Je Taime and the forgettable P.S. I Love You. He brings this familiarity to the adaptation of the book “Beautiful Creatures” written by Kami Garcia and Margaret Stohl sort of eroding any possibility of depth by constructing the script around the dedicated mimicry of the Twilight saga. Beautiful Creatures flips the supernatural role to the woman as we follow an eagerly curious teenage boy named Ethan Wate (Alden Ehrenreich) as he becomes incredibly intrigued by the new girl Lena Duchannes (Alice Englert) who happens to be a witch or using the politically correct term “Caster.” Basically it is the literal “Romeo and Juliet” of the Mortals and Witches instead of the Montagues and Capulets. The real strength in the script is the dedicated introduction of both characters giving them a genuine foundation for an adolescent love tale that is believable and personable. While the introduction is engaging through its sharp dialogue exchanges, awkward teenage angst, and literary references it doesn’t necessarily continue throughout the majority of the film. As the story continues it gets a little lost in its fantastical world of rules, destiny, and spiritual criticism leaving an experience that feels a bit shallow and a tad distracted. Reaching the end of the film will have you question whether or not the filmmakers or the script realized how contradictory the message of the movie becomes but this can be dedicated to the forced feeling of dumbing down material for a marketed tween audience. If it weren’t for the successful development of the core relationship in the film then Beautiful Creatures would have been a complete mess and a waste of time. Richard LaGravenese acted as director of Beautiful Creatures as well and while these types of films don’t necessarily need a flashy technical display, except for minor special effects planning, they really could use an inventive eye to set them apart from the typical herd. Unfortunately LaGravenese isn’t the unique visionary to bring distinction to his film but rather a dedicated follower of the supernatural romance films of the past couple of years making the overall feel of the movie generic. Instead of having a foggy cinema look like Twilight, Beautiful Creatures resembles the overtly crystal clear colors and tones of a poorly done Tim Burton film such as last year’s Dark Shadows. The CGI effects are surprisingly limited which actually serves the film better to focus on the tightly written relationship between the two leads. So to LaGravenese’s credit he toned down the obligatory usage of effects and stayed focus on the great foundation that was the developing, believable relationship in the film. Though Beautiful Creatures could have used a visionary director to give the film a distinct visual stamp there weren’t any creative choices that deterred from the overall presentation. Since the effects, the camerawork, and all the other technical decisions had a pretty neutral effect to the film it really placed the entire burden on the actors to carry it through to credibility which they do exceptionally well. The two leads Alden Ehrenreich and Alice Englert are basically the antithesis of Robert Pattinson and Kristen Stewart in Twilight by being just plain interesting and multifaceted. Ehrenreich has a natural charisma that can make anyone feel sympathetic or amused by his personality traits that he brings to the character of Ethan Wate that counteracts the consistent emotionality and vulnerability of Alice Englert’s take on Lena Duchannes. Together they have one of those teen romances that is relatable, but most of all believable in how they both have strengths and weaknesses that balance each other out. Because of their controlled performances and natural chemistry with each other it carries the film in great strides allowing the supporting cast to easily shine in the parts where the leads are dependent on other personalities. Three Academy Award nominated actors, Jeremy Irons, Viola Davis, and Emma Thompson, bring incredible charisma to the screen in all of their selected sequences making what could have been laughable actually quite engaging. These are the kind of actors you need when constructing a formulaic love tale because their acting prowess makes neutral aspects more involving. If this becomes a new franchise for the tween generation then they should feel lucky to have such credible talents on the screen. Immediate criticisms that Beautiful Creatures seems like a rip off of the Twilight success would be partially correct in that it borrows the structure but all of the tools and pieces in the construction are superior in every way. From acting to limited usage of special effects to a strong relationship grounding gives Beautiful Creatures an intriguingly charming presence that is more than bearable to sit through. It’s a predictable romance with the obligatory addition of supernatural forces that is becoming tiresome as the years go on but it certainly isn’t the worst of the bunch. Luckily the two leads Alden Ehrenreich and Alice Englert have a natural chemistry that carries you through most of the convoluted and shallow fantasy world of witch rules, light and dark destiny, and mean spirited religious criticisms that has more positive traits than it does negative traits. Granted if this had been the first of a series of supernatural romances then it would be probably be critically lambasted more severely but it took a failing and tiresome approach of the last decade and made it slightly above average. Let’s hope that the next supernatural romance will dare to be different but that’s probably a very unlikely and unfounded hope.